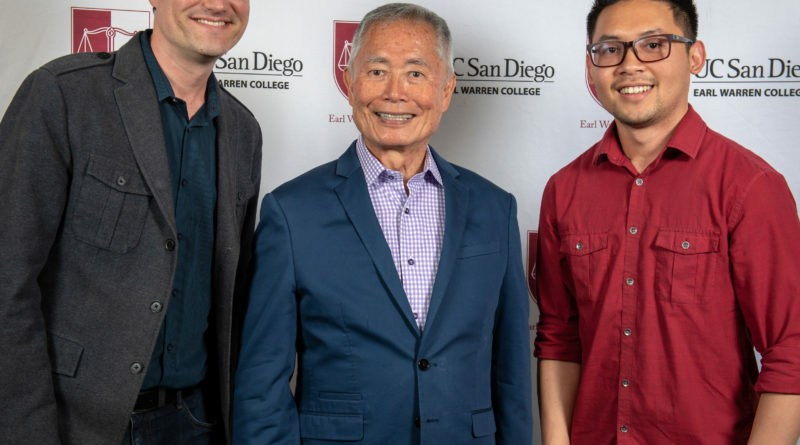 Actor and activist George Takei visited UC San Diego on April 26 to deliver the DeWitt Higgs Memorial lecture, presented by the Council of Provosts of the Undergraduate Colleges at UC San Diego. The openly gay Takei has long been a passionate advocate for social justice, an outspoken supporter of human right issues, and a community activist. 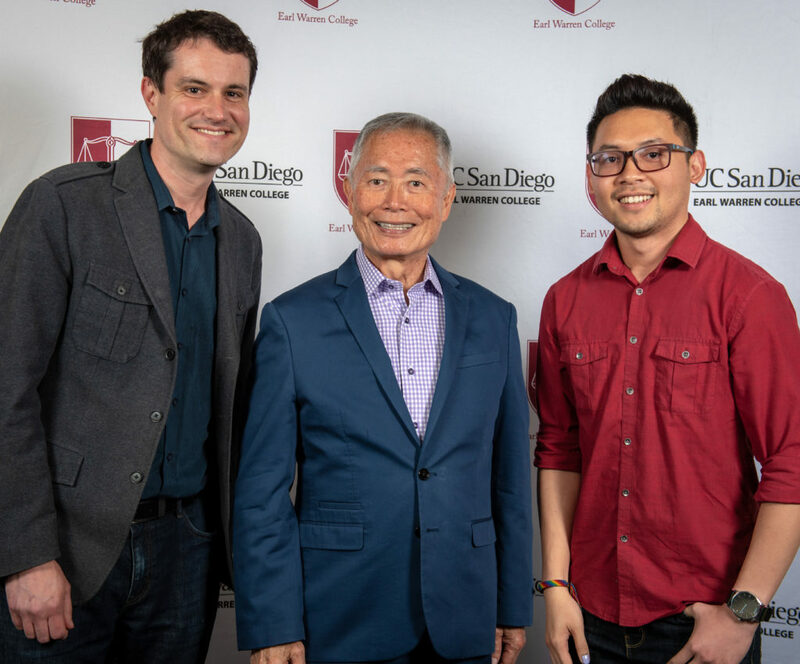 Sothyrak Srey, the current Alan Turing Memorial Scholarship recipient, and CNS Co-Director, George Porter, had an opportunity to meet and talk about the Turing scholarship with George Takei and his husband, Brad Takei, at a pre-lecture reception. Special thank you to Earl Warren College for this opportunity. 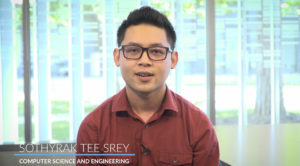 Pictured (l-r): CNS Co-Director George Porter, George Takei, and UC San Diego student and Alan Turing Memorial Scholarship recipient, Sothyrak (Tee) Srey. Special thank you to Earl Warren College. Photo by Alex Matthews.